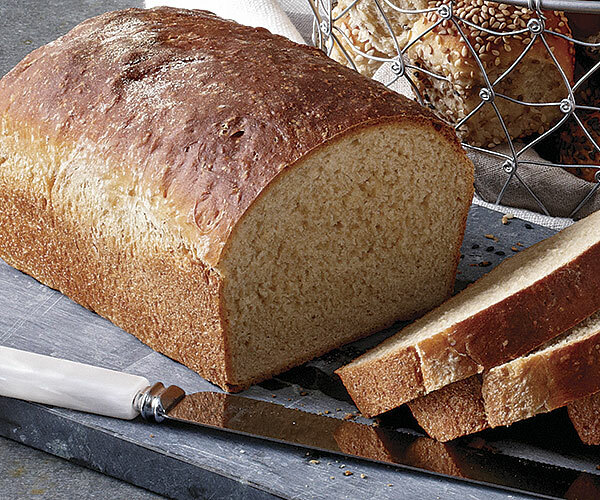 In addition to sandwiches, this tender loaf is perfect for French toast or bread pudding. Spray a 8-1/2 x 4-1/2-inch loaf pan with cooking spray. 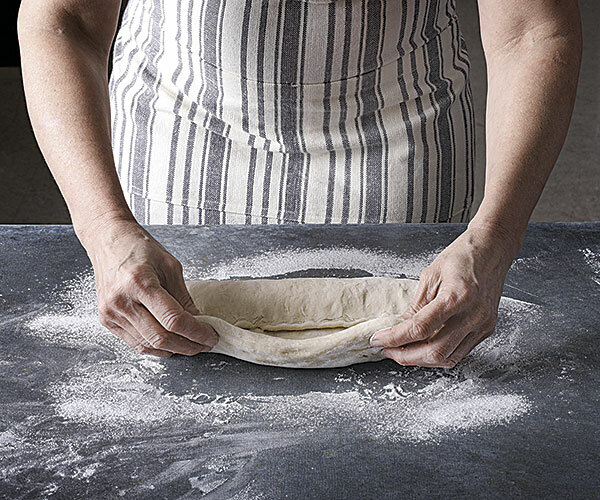 Turn the dough out onto a lightly floured surface and pat it into a rough 8-inch square. Fold the bottom quarter over and press to secure it. Fold over again, leaving a 1- to 2-inch edge on the top, and press to seal. Fold the 1- to 2-inch edge up and over and press to seal. 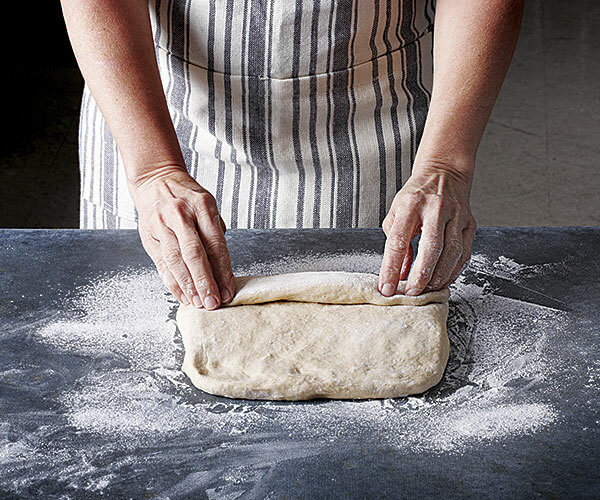 Pinch the ends closed, and place the dough, seam side down, in the loaf pan. Cover the pan with plastic wrap and refrigerate for at least 8 and up to 24 hours. Position a rack in the center of the oven and heat the oven to 350°F. Meanwhile, let the dough sit, covered, at room temperature. Remove the plastic and bake the bread until the top is browned and the internal temperature reads 205°F on an instant-read thermometer, about 55 minutes. 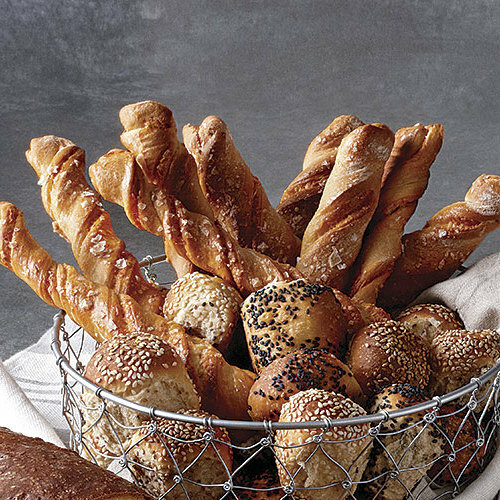 Remove the bread from the pan and let cool completely on a rack before slicing.